Uncle Mick’s Cajun Market & Café is a Cajun Seafood Restaurant located in Prattville, Alabama. We offer casual dining, carry-out, and catering services. We also offer online ordering and delivery via the Waitr® app. We’re a popular destination for hungry travelers along Interstate I-65 in Alabama who are just passing through as well as local residents looking for a unique, family-owned restaurant in the Montgomery River Region. Got an ahnvee for some Cajun Cooking? Our food is always hot, fresh and ready to be served. We offer a variety of menu selections, served up by the cup, bowl, or plate. Coo-Wee! We did it AGAIN in 2018! TripAdvisor® ranked Uncle Mick’s Cajun Market & Café the #1 Restaurant in Prattville, Alabama. 98% of travelers to historic downtown Prattville voted our local eatery as Excellent or Very Good, helping crown us the winner of the coveted 2018 Certificate of Excellence Award! We’ve won the TripAdvisor® Certificate of Excellence award for a sixth consecutive year thanks to 337 reviewers on TripAdvisor®. Looking for the best Cajun seafood in Prattville? Can’t decide whether to dine in or carry out? It’s six of one, half a dozen of another! Either way, we’ve got you covered at Prattville’s favorite place to eat! 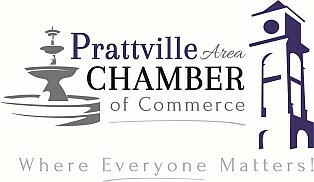 What has 6 legs and can be found struttin’ his stuff around the downtown Prattville Historic District? Did you guess “Turducken?” Ha! yond’s fusty news! We’re referring to Sir Unculus Mick on the sixth leg of his unprecedented run as the King of Cajun! Sir Unculus was beloved by his people. His newfound nobility had not tarnished his reputation with the common man. He smiled and gently raised his arms. Dutifully, the crowd of rowdy onlookers fell deftly silent. Some wept and dropped to their knees. Even the Heritage Park fountain went dry. Comedienne Joy visits Uncle Mick’s Cajun Market & Cafe in Prattville, Alabama and adopts her new, “favorite Uncle”!